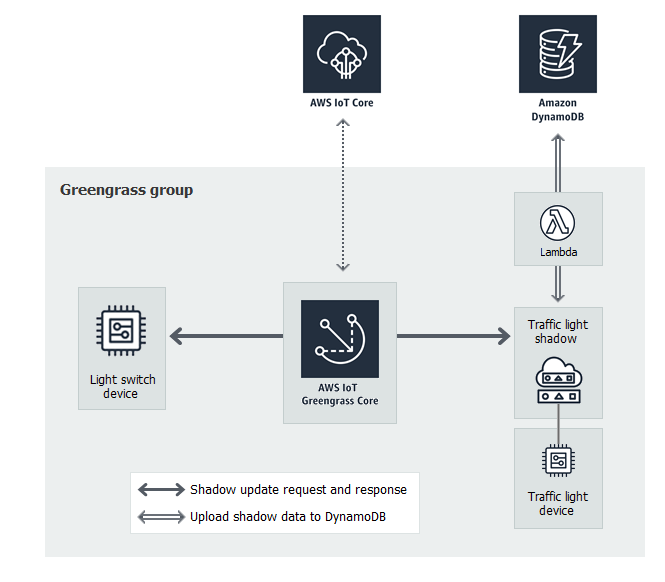 This advanced module shows you how AWS IoT Greengrass cores can interact with other AWS services in the cloud. It builds on the traffic light example from Module 5 and adds a Lambda function that processes shadow states and uploads a summary to an Amazon DynamoDB table. Before you begin, make sure that you have completed Module 1 through Module 5. You do not need other components or devices. This module creates and updates a table in DynamoDB. Although most of the operations are small and fall within the AWS Free Tier, performing some of the steps in this module might result in charges to your account. For information about pricing, see DynamoDB pricing documentation.